In a few days I will fly from Stockholm to London to celebrate my fortieth birthday. 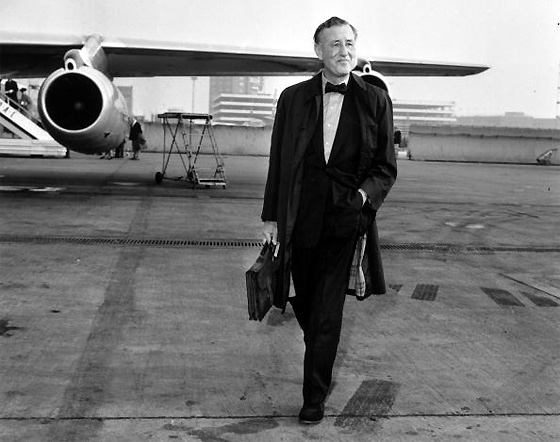 Plans are being made to meet some other Fleming / Bond fans but also to enjoy a few days without the kids with my wife. I will also be allowed to join a friend on a trip in his two different Tesla motor cars which has been a dream for a few years now. A concert at the O2 arena in London is also scheduled. The trip has in other words every possibility of being great and I look forward to it a lot. 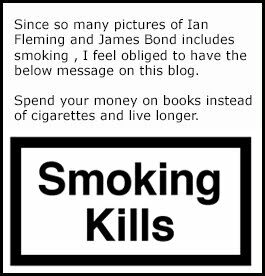 Therefore I wish to announce that I would love for you, the reader of this blog, to come join me on Saturday, December 10 when I together with Maxus Ltd arrange a Ian Fleming post war London walk. I hope this event can be some sort of replica of the great event arranged by Literary007.com and Maxus Ltd that was arranged earlier this year on May 28, Ian Fleming's birthday. So if you are an Ian Fleming fan or maybe just an James Bond fan wishing to learn more about the creator of the worlds most famous spy or if you just wish to meet other James Bond fans and hang out in London then join me. The more the merrier. The locations that we will visit are those connected to Ian Flemings life after the second world war when Fleming begun writing the James Bond novels. We are allowed to be up to 30 people and after the walk, Jon at Maxus Ltd will take us to a bar close by were we can buy drinks and chat as long as we wish. The price to take part in this walk is £10 each if you pay in advance or £15 if you wish to join us in the last minute. If you wish to participate (and I hope you do) then contact me Stephan Backman on Facebook and I will give you the payment details. Also contact me if you may have questions about this event and I will be glad to assist. Let's Bond in London on December 10th.